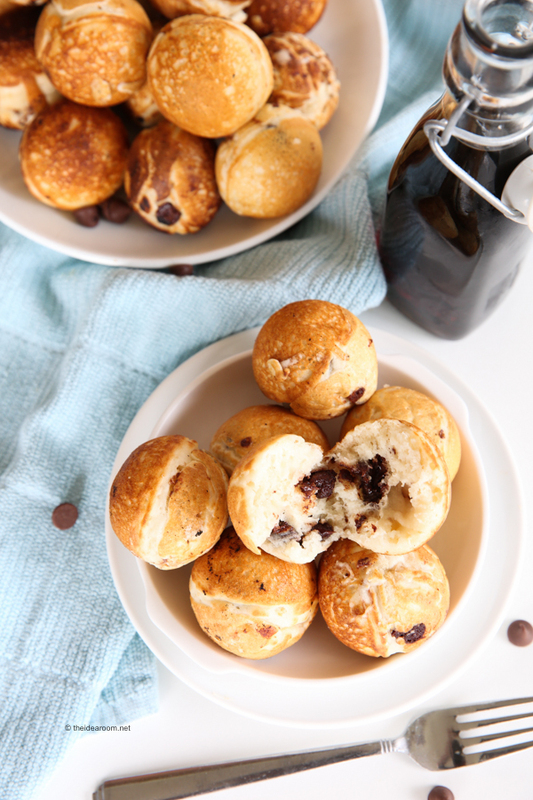 If you have a little bit of time and want to make a fun and yummy breakfast (or dinner recipe) try your hand at making these Chocolate Chip Pancake Poppers. Admittedly, these take a little bit of time and effort, they are well worth it. 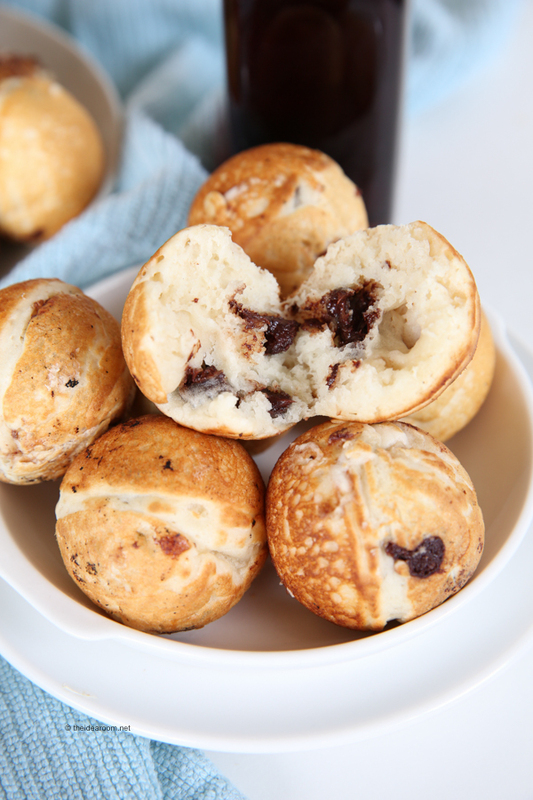 If you don’t have time to make these pancakes into the round pancake poppers…the Chocolate Chip Pancakes are yummy even when you make them flat! Heat pan on low heat. Combine flour, sugar, cinnamon, baking powder and salt in a large bowl. Mix together wet ingredients and beat into dry mixture until smooth. Pour or spoon batter into fry pan so that the batter is not quite full in the half circle of the pan. When the batter in the skillet cups is bubbly use a crochet hook, fork or a toothpick to turn the pancake slightly. Continue to turn the pancakes so that the batter rolls out of the middle of the pancake popper and makes a round pancake. This takes patience and you may need to add a little extra batter in the middle of the pancake as it cooks. 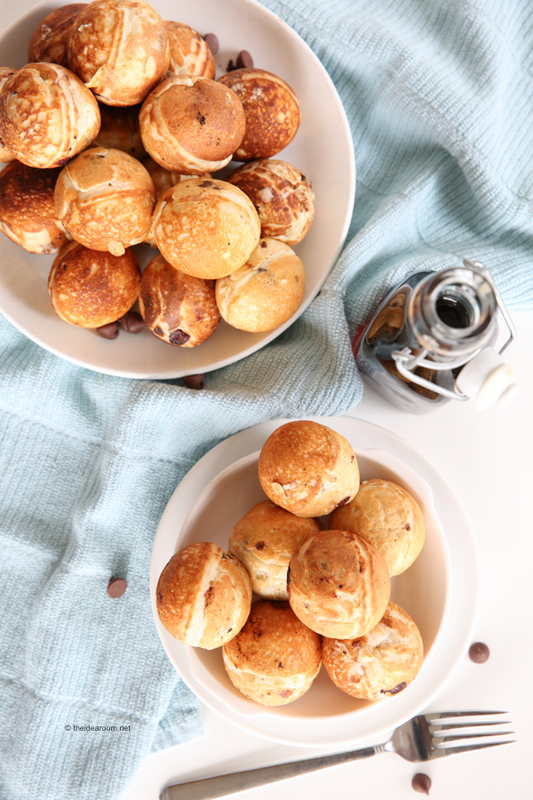 Serve with powdered sugar or your favorite syrup! 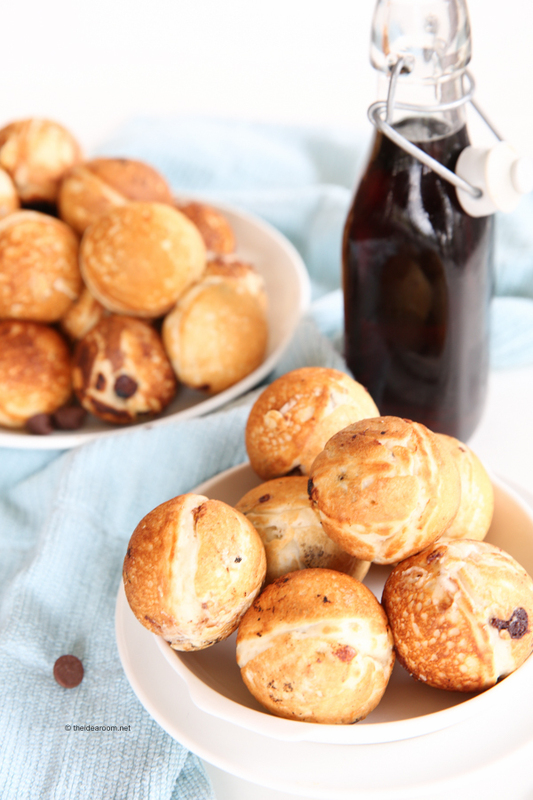 The hardest part of this recipe is trying to keep up with making them when they get gobbled up so quickly! 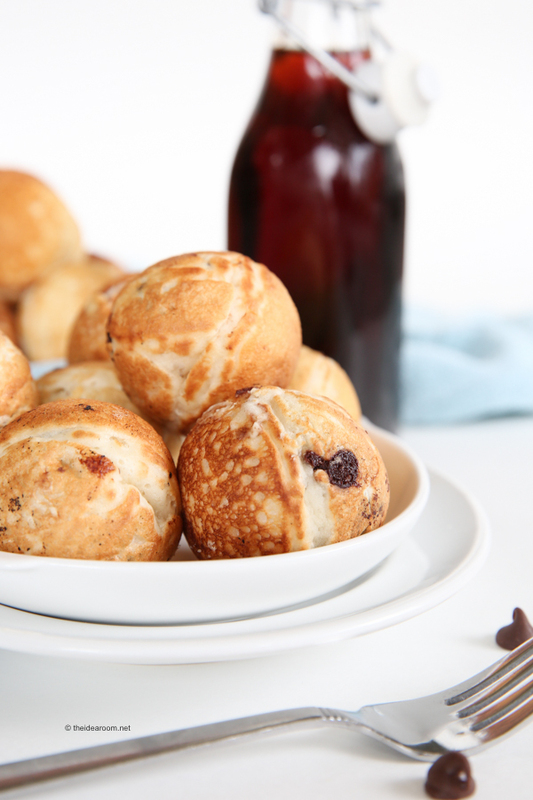 To make them you will need an Aebleskiver Pancake Pastry Pan. This is the pan we have and we love it. 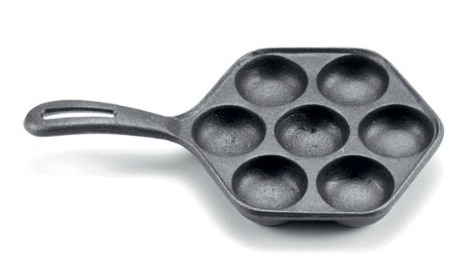 We use this pan to make Aebleskivers with our favorite Aebleskiver Recipe. You can also use a Cake Pop Maker if you have one! Is that a dental pick you use? Or is that a crazy crochet hook I’ve never seen? I’ve always used metal chopsticks and I’m really curious if that hook thing makes it easier. It is actually a hook for pulling out vinyl lettering :) I wash it in my dishwasher and use it only in the kitchen now! You can find them on cricut.com. Makes it so easy! If you make these in a cake pop maker would you still need to do the rearranging you mention?? I am thinking it could be skipped which is great for me as I have one and the less work is great!! I would not think so just because the cake pop maker has heating from all around. Hope this helps. Thanks.